A prior blog post discussed the legal issues relating to the sale of a business or professional practice. One issue mentioned in that article was that of a non-compete clause. This blog post will discuss that issue in further detail as it applies to commercial leasing. As a great deal of commercial space in the New York metropolitan area involves shopping centers and strip malls in which the stores are in close proximity to each other, a non-compete clause may be essential for a tenant. A non-compete clause in a commercial lease involves an agreement between the landlord and the potential tenant that the landlord will not rent space to a competitor of the tenant, or to a business that draws the same customers who may choose to do business with one tenant as opposed to another. A non-compete clause also comprises the tenant’s promise not to engage in particular business activities. For example, if the tenant sells office supplies, then the tenant may ask for a clause in their commercial lease by which the landlord is prohibited from renting any space in the same shopping center to another store that sells office supplies. In subsequent leases with new tenants, the landlord needs to include the prohibition from selling office supplies so that new tenants do not violate the landlord’s promise to the office supply tenant. Of course, it is essential that such a clause be drafted with specificity and contain language sufficient to make it clear which competitors, specific activity and types of businesses are prohibited. For example, using the office supply example above, a non-compete clause must be very specific in the types of sales that are prohibited. Many establishments such as grocery stores and drugstores sell items such as writing implements and stationery, even though it is not their primary business. A non-compete clause should be crafted for the specific inventory of the store in question while also providing the business with opportunity for growth and change in inventory as needed. Many food establishments encounter this type of problem with non-complete clauses. 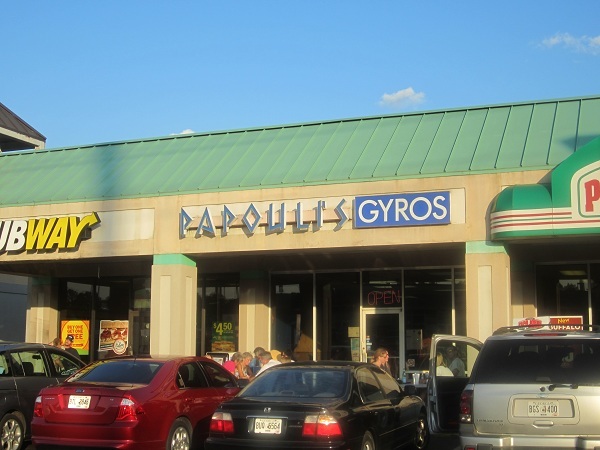 A sandwich store may request a non-compete clause prohibiting another sandwich store from opening nearby. However, the non-compete clause must be clear what type of establishment is being prohibited. Would a store selling wraps or burritos qualify as a sandwich store, and thus be banned by a non-compete clause? What if the business is a bakery that happens to sell paninis at lunchtime? Careful drafting of such clauses by an experienced commercial leasing attorney can eliminate any ambiguity and thus prevent disputes from arising over the meaning of such clauses. Additional issues arise when a non-compete clause is being violated by another tenant. For example, a tenant rents a store that sells health food. Her lease with the landlord has a non-compete clause stating that the landlord will not rent space in the shopping center to any other health food store. However, an existing gym in the shopping center then decides to open a small snack bar within its premises. The snack bar sells health food to the gym customers. Is this a violation of the non-compete clause? To answer such a question, the lease of both the health food store as well as the gym must be reviewed by an experienced attorney. The health food store tenant would probably have a legal claim against both the landlord and the gym for violation of the non-compete clause, depending on how the clause was drafted. Certain non-compete clauses may except other tenants who rented space prior to the tenant in question. This would create a legal issue as to whether the landlord is required to enforce the non-compete clause against the gym tenant. Such an issue would be resolved by analyzing the language of the leases in question, as well as the Court’s interpretation of same. Our firm has extensive experience in negotiating non-compete clauses in commercial leases and bringing legal actions to enforce same, and welcomes all inquiries in that area.